“After last night’s movie, I’m ready for some excitement,” Lil said. Nim agreed. The movie idea was a fun one and made up for some of their previous pranks, but it was just a little too tame for their spunky personalities. 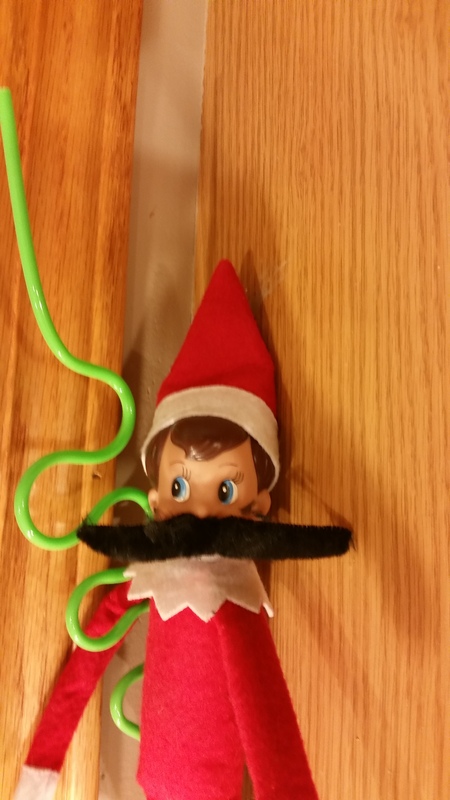 As they flew into the kitchen, Nim spied a package of fake mustaches on top of the kitchen table. “Check these out Lil!” he called. Lil was busy twirling about the living room picking up ribbon from the night before. On her second pass over the fireplace, she spotted a small note on top of a piece of wrapping paper. The note, as it turned out, was a list for Santa and the piece of wrapping paper was a tiny skirt, just big enough for a little elf. Lil’s heart sang. Cheyenne had made her a skirt! Such a thoughtful act was sure to be passed on to Santa…along with her wish list. “Look what I got!” Lil shouted back, speeding toward Nim. 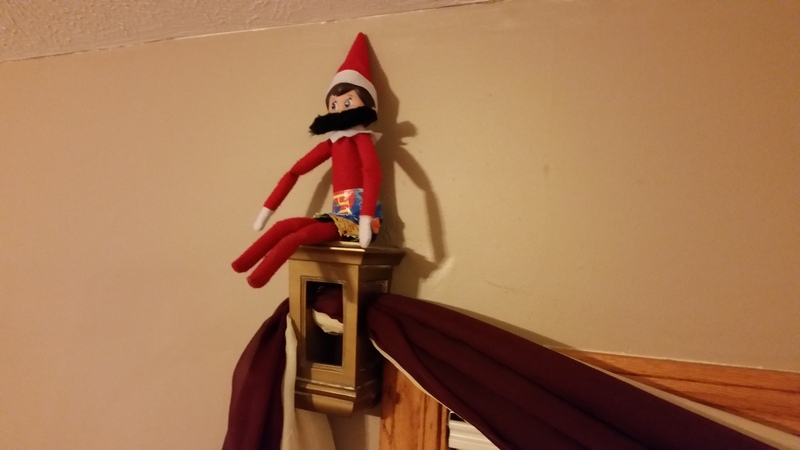 Nim eyed Lil’s new skirt and Lil smiled at the mustache Nim now sported. “It’s a bit big don’t ya think?” Lil teased. 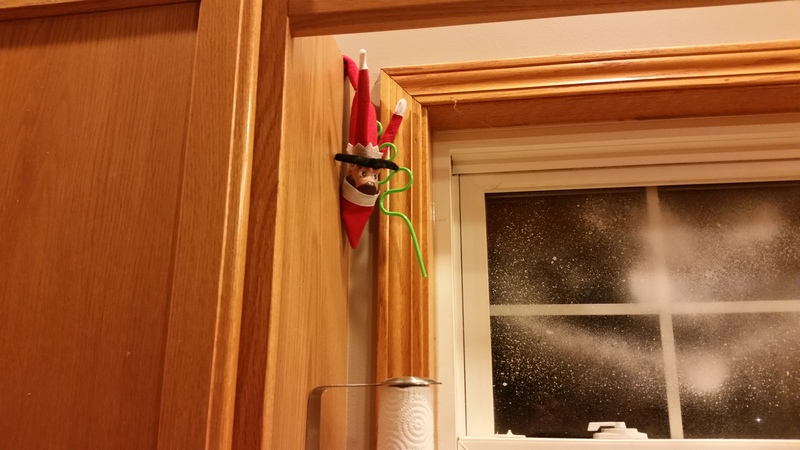 The nimble elves searched through cabinets for supplies. Nim began cutting mustaches out of black construction paper and taping them at random around the room. Fruits that still sported googly eyes from another night’s prank were ‘stached. 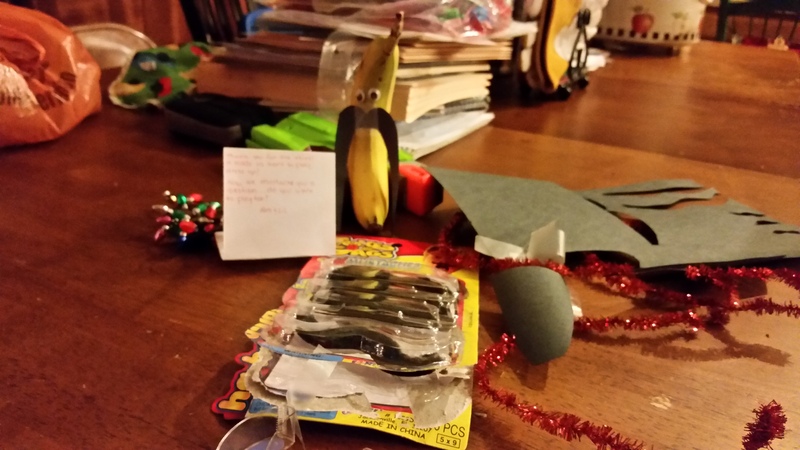 A banana received two long whiskers as it stood watch over the package of mustaches along with a note from Nim and Lil. Thank you for the skirt! It made us want to play dress up! Now we ‘mustache’ you a question…do you want to play too? Even Joe and Jake did not escape the attack of the ‘stache. “Won’t this by hilarious! ?” Lil said. Nim smiled as she flitted around the picture of the two boys. 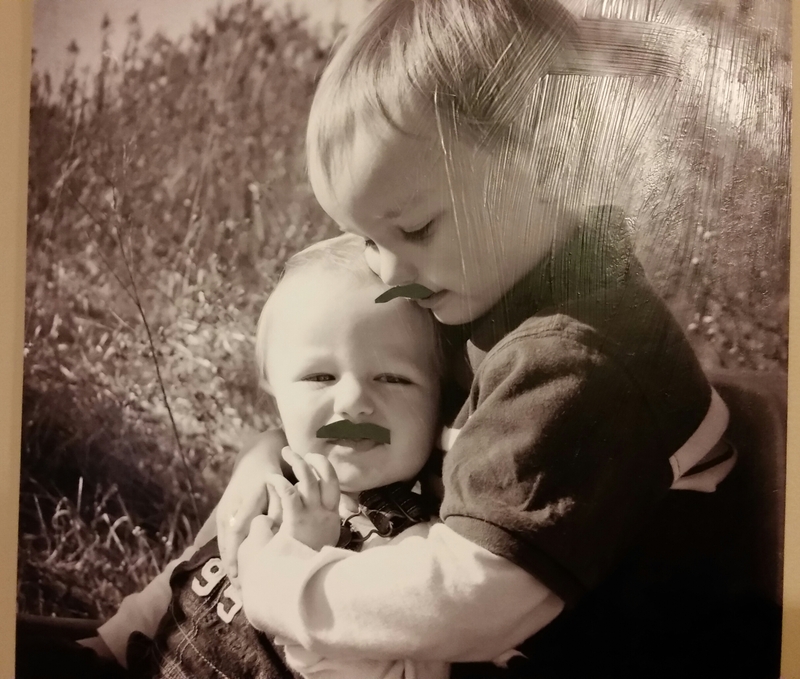 After a few more ‘stache attacks, Nim and Lil took their places to wait for the kids to wake up…still giggling from the tickle of their mustaches.